Please check the for specific dates and times. Cabin Fever Dance: Saturday in March 7:00 pm -12 am. Tickets on sale from Tony, Sandy, and Heather Damato 610-775-3576 or John Naugle 610-775-0195. 21 or older event. NWTF Banquet: TBA. Grill Fire Company. Contact Pete Nelson at 610-413-7390 for more information. Testosterone Bingo: Sunday in March (GUYS ONLY!!) Starts at 12-noon. Tickets $20 and sell out fast! This is a club member only event and not open to the public. Kids Easter Egg Hunt: Saturday in March from 1:00 pm – 3:00 pm. Free and open to the public. Crafts and free food and drinks for the kids following the egg hunt. Contact Sherry Reber by March 10 at 610-775-0546 to register the name and age of children participating. Registration is required by the deadline. 35 Ham Drawing: Drawing will be held during the Family Music Night in March. Additional tickets can be purchased in the clubhouse or night of event. You do not have to be present to win. Hunter – Trapper Safety Course: April. From 8 am to 5:00 pm. Register online at www.pgc.state.pa.us If not able to register by computer then call Bruce Squibb at 610-775-3213. No walk-in registrants will be accepted. Federated Sportsmen’s Clubs of Berks County Family Dinner & Entertainment Night: April, 6:00 pm – 10pm at TBD. $17 adult, $7 for kids 6-12. All you can eat home cooked meal with desert and entertainment after dinner! Tickets available in the clubhouse. Call Evan at 610-781-2979 for more information. Ducks Unlimited Fun Shoot: TBA from 8:00 – 11:30 am. 25 Trap and 25 Wooble. Back to Back……same day! Small silent auction! $20.00 per event [50 birds] Class prizes A,B,C & D! All proceeds benefit wetlands conservation. BBQ Parties: Open to the public. Saturday in June starting at 5 pm. Come out and enjoy a delicious BBQ chicken, pulled pork, and beef brisket entree dinner outdoors under our pavilion. See the Kitchen page for menu and pricing. Pheasants Forever Youth Habitat Project: Open to the public. Saturday in June, from 9 am – 1 pm. Kids come help plant pollinator seed in our field! Free T-shirt and lunch. For boys and girls ages 8-15. Call Bill at 610-914-5236 by June 5 to register. Pheasants Forever Information Meeting & Membership Drive: TBA. Learn about Pheasants Forever and it’s dedication to conservation of wildlife through habitat improvements, public awareness, education, and land management programs. Summer Bash Quoits Tournament and Picnic: TBA. Limited to 64 teams. Food, beverages, and prizes. Get your tickets early. Contact Ken Ski at 610-777-3618 or Lee Angstadt at 610-856-7198 for more information. Armed Forces Brotherhood Annual Poker Run: Saturday in August. Pre-register @ armedforcesbrotherhood.org. Register at Classic Harley Davidson in Leesport from 9 am – 11 am. Run ends at Mohnton Fish & Game at 2 pm where there will be food, music, door prizes and raffles. Donations $20 rider or $30 rider / passenger. For more info call Topher at 484-331-1066 or Jabber 610-929-2290. AMA sanctioned. Cash Raffle: Thursday in September at the end of the general membership meeting. Additional tickets are available at the club. Halloween Party: October during the Family Entertainment Night. Live music from 7 – 10 pm. Open to the public. 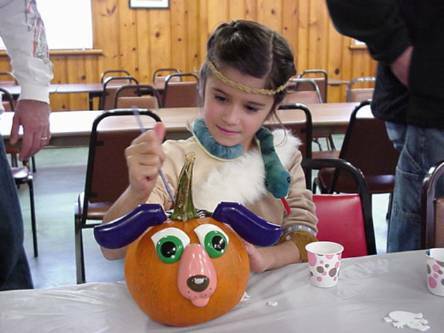 Kids Halloween Party: TBA, 1 – 3 pm. Rain or shine event. Open to the public. Ages 0 – 12. Costume contest, pumpkin painting, crafts, games, prizes, hot dogs and soda! Reading Salvation Army Food Drive: TBA, 8 – 11 am. Bring your can goods, non-perishables, or cash/check donations to the clubhouse. Various raffles will be held. Longaberger Basket Bingo: TBA at 1:00 pm. Doors to bingo will open at noon and the kitchen will be open. Tickets are on sale now at the bar. 20 games will be played on paper cards. The cost is $15 in advance and $20 at the door. Special games will also be played for an additional charge each game. All proceeds to benefit Conservation Efforts. Spaghetti Dinner and Bake Sale: Saturday, November from 4 – 9 pm. $9 adults and $5 kids. Benefits the building fund. 50 Turkey Drawing: November during the Family Entertainment Night Turkey Party. Turn in your five ticket stubs at the clubhouse or send in with your 2017 dues payment. Live music from 7 – 10 pm. Kids Christmas Party: December starting at 2 pm. Members only. Kids sit on Santa’s lap and receive a gift! There will be food and drinks for the children along with arts and crafts. Registration is required by Dec 3. Contact Katrina at 484-926-3364 to sign up. Please have your member ID #, child’s name w/ spelling, age and gender ready when you call. Bingo: Every Monday, 7-10pm. Regular bingo with special games and prizes. Open to the public. Clubhouse is open for drinks. Sunday Afternoon At The Club: Every Sunday afternoon at the club from 12:00 pm – 6 pm. Come on up and hang out in the clubhouse for some great sports on the new flat screens !!! Quoit Throwing: Begins late May and toss every Tuesday evening from 6:30 – 10:00 pm. We pick numbers for teams so no partner is needed. Lots of fun! Contact Lee Angstadt at 610-856-7198 for more information. Trap Practice: Every Tuesday evening starting late April and going into September from 4:30 p.m. to 6:30 p.m. Open to the public. Maintenance Crew: Third Sunday of every month, 8am-12pm. Ranges may be closed during this time. Contact the club if interested in helping. Lunch will be provided afterwards. Country Line Dancing: Come out for some great country line dancing every Wednesday evening with DJ Dixie Lynn. Beginner lessons start at 6:15 pm for a $5 charge. Or come out at 6:45 pm – 10 pm when the boot stompin fun begins for just $6. Contact Jodie Schaeffer at 610-856-1875 for more information.